I have never been a fan of high stakes tests. I think there is a place for teacher-made tests used to diagnose (not grade – at least for English — maybe for math) a taught lesson to see if students were learning from it and then the teacher adjusts his or her lesson and teaches it again or not. There is also long standing racial differences in teach assigned grades, with Asian Americans having the highest GPA and African Americans having the lowest GPA (see https://www.nationsreportcard.gov/hsts_2009/race_gpa.aspx?tab_id=tab2&subtab_id=Tab_1). Might we conclude from this and many other racial disparities in public education that public education is also a tool of white supremacy? Once again we have intense overlap between socioeconomic factors and academic achievement. It should surprise no one that the most impoverished group (African Americans) have the lowest GPAs. Moreover these are national averages. These are not GPAs of students in the same schools. Our poorest students are in our most segregated and underfunded schools. And why are those schools so underfunded? A large portion of the answer is standardized testing. Finally, when it comes to your favorite counterexample (Asian Americans), you know darn well that they’re a so-called model minority. There are a slew of factors that explain their high academic achievement from strict immigration policies allowing only the most privileged and educated into the country to their historical and cultural avoidance of the most virulent racism suffered by African Americans. There are some facts you just have to face – and one of them is that the standardized tests you love so much came from racism and continue to promulgate it with each generation that we subject to it. It seems to me that one could easily argue that it should surprise no one that the most impoverished group have the lowest standardized test scores. 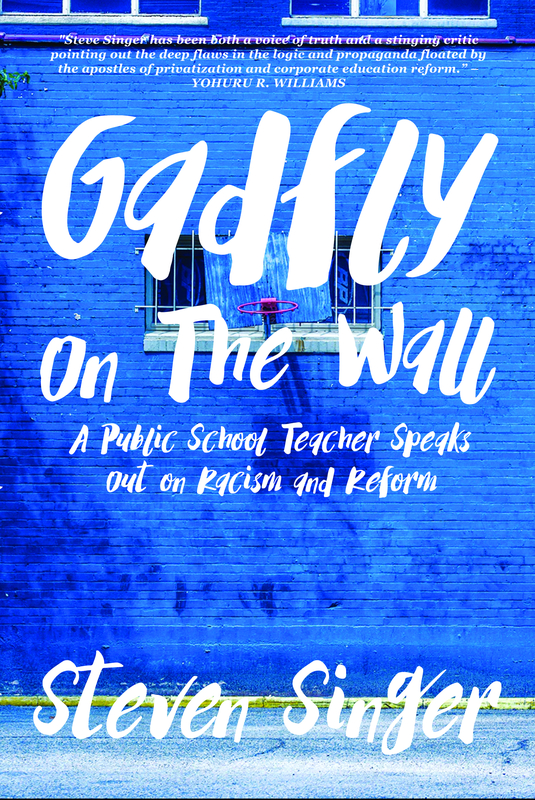 If racial differences in test scores indicate that standardized test scores are a tool of white supremacy, racial differences in high school GPA’s should also indicate that teacher assigned grades are also a tool of white supremacy. As to your question about why our poorest students attend segregated and underfunded schools, I think the answer is obvious: the public education system is designed to maintain class and racial differences in society, that is the public education system is a tool of white supremacy. Teaching Economist, I must admit that to a degree you have a point. Our school system has been a tool of white supremacy just as nearly every institution in our country has been. However, you paint with too broad a brush. Yes, our schools are increasingly segregated. Why? Is it a direct result of the schools or the surrounding communities which they serve? To what degree does red lining play a role? To what degree is it a result of the will of the white majority who control the school board, city council, the zoning board, etc.? The problem with jumping to your conclusion is that it ignores these subtleties. Unlike standardized testing, public schools were not created to separate the privileged from the underprivileged. Admittedly, they were sometimes used that way, but that was not the impetus behind their creation. In fact, just the opposite. They contain the possibility of a solution to the issues that plague them. If our schools are segregated, integrate them. If they are underfunded, fund them. If minorities are underprivileged. Privilege them. These solution cannot be found for standardized testing because the rot of inequity runs to its core. They are standardized. They see correct and incorrect only in so far as it relates to a standard of a hypothetical typical student. That will always lead us astray no matter how we define our standard. There are no standard students therefore you cannot fairly assess them with standardized tests. In the UK I’d say it’s still a tool of the class ridden society where the rich who are educated at what we call ‘private’ ( fee paying, ie your family have lots of spare cash ) schools, where an inherent, mostly white supremacy ensures that those people have greater advantage in all areas of life from the start, than those educated at ‘state’ schools. They also most often land jobs at the highest level of government and in law in fact. Win win. There is a spectrum though, but, if you attended a ‘private’ school your chances of landing some types of jobs are much higher, with less effort on the part of the candidate. Hard to believe it’s 2019 at times. Excellent article I just read this at C Dreams, good to find yr blog. You might find this interestingif not seen it yet.